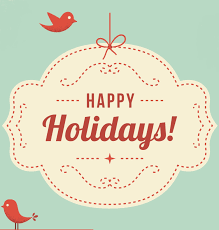 As 2015 comes to an end with the holiday season upon us, we want to wish you and your family a very happy holiday. We thank you for choosing Aleyant as your web-to-print software provider and look forward to helping you build a brighter and more prosperous new year! ﻿At our December webinar, Greg Salzman, Aleyant President, and Ted Vickers, PrintJobManager Product Manager, will give attendees a preview of our new MIS/ERP product, Aleyant PrintJobManager, as well as its integration with Pressero. PrintJobManager is MIS/ERP simplified. It uses a new mobile, cloud-based approach to MIS that includes a fast means of generating market-driven pricing, job management, inventory tracking, real-time job tracking and estimating. The simple setup and use of the cloud-based PrintJobManager enables you to manage your shop from any device. It is a standalone application for estimating, inventory tracking, shop floor data collection and more. Conveniently, it will also work seamlessly with the award winning Aleyant Pressero web-to-print e-commerce and variable data system. While Pressero is not required to use PrintJobManager, product pricing created in PrintJobManager can be seamlessly used within Pressero storefronts, eliminating the need to create and maintain separate pricing systems for online stores vs. your estimating and job management systems. Time will be allotted for a 10-minute Q&A session. 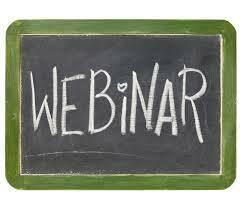 Thursday, December 17, 1-2 PM CDT - Register here! New Pressero Version 6 Coming January 4 - Test it Out Today! As you may know, Aleyant has been hard at work on developing Pressero version 6. It will be available on January 4 to customers who opt to begin switching over to this new version. Please contact Support to switch over to the new version. To begin testing, click here! Aleyant Named to DPS Magazines 4th Annual Top 30 Readers Choice Awards Aleyant is proud to announce that it has been included in the 2015 DPS Magazines 4th Annual Top 30 Readers Choice Awards. Each year the publications dedicated readership dictates the top 30 winners and five honorable mentions. DPS readers selected Aleyant for its robust, web-to-print software services offered at value-driven prices. Our flagship product, Aleyant Pressero, is a complete W2P storefront system. Pressero includes Aleyant eDocBuilder Interactive Designer, an HTML5-based online design, personalization and variable data publishing system, which is also sold separately for integration into other systems. The solution offers integration with systems including third-party MIS, imposition and workflow. As we prepare to launch PrintJobManager, we will be posting a series of one-on-one interviews with PrintJobManager's Product Manager, Ted Vickers, in an effort to bring you up to speed on the ins and outs of this great, new tool to help you manage your web-to-print business. This first interview provides an overview of the new software as well as its key benefits and features. A: Aleyant Print Job Manager is MIS/ERP simplified. It uses a new mobile, cloud-based approach to MIS that includes a fast means of generating market-driven pricing, job management, inventory tracking, real-time job tracking and estimating.